Below you can view all the homes for sale in the Oakwood subdivision located in Henderson Nevada. Listings in Oakwood are updated daily from data we receive from the Las Vegas multiple listing service. To learn more about any of these homes or to receive custom notifications when a new property is listed for sale in Oakwood, give us a call at 702-323-5903. Just in time for summer~Beautiful home in the heart of Green Valley featuring 3 bedrooms, 3 bathrooms, Den/Office and an entertainers dream of a backyard, covered patio, garden area and a dog run~Kitchen has granite counter tops, Tile floors lower floor, stainless steel appliances~Good sized master bedroom upstairs with walk in closet,dbl sinks and a sitting area~Loft along with 2 other secondary bedrooms upstairs as well~All appliances included. MLS#2090443. Evolve Realty. Home Features - New Tile, New Baseboard, New Quartz Counter Top, New Stainless Steel Microwave, 5 Burner Gas Range with Confection, Side by Side Fridge, Custom Cabinets, C Kitchen with Breakfast Nook, Gas Fireplace, Covered patio with a private backyard, Master Bathroom has dual sink with large shower. MLS#2079171. Keller Williams Southern Nevada. Large custom doors and fresh paint! MLS#2075847. Platinum R.E. Professionals. Spa in the backyard is not working. MLS#2075150. AHP Realty LLC. 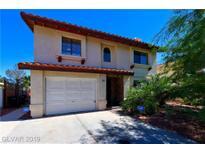 This Henderson home is located near shopping and the 215 freeway! MLS#2068363. Simply Vegas. Stainless Steel Microwave, Stainless Steel Dishwasher, New Stainless Steel Gas Top Range, New Custom Full Face Cabinets, Master Bedroom with Large Master Bath. MLS#2063348. Keller Williams Southern Nevada. All appliances included. HOA dues are tiny. MLS#2059382. Carroll Realty. 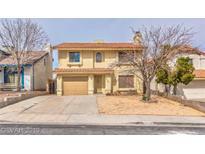 Close to shopping, dining, schools, and easy access to freeways...all for under $300K!! Won't last! MLS#2033875. eXp Realty.